For a newborn, booster seats may not be on top of your mind, but as soon as they reach toddlerhood, you may want them to start experimenting with what they eat and where. You don’t want to make their dinnertime a chaotic experience. Eating is always an adventure for your child and here comes the role of a booster seat. A booster seat is a seat that attaches to an adult chair to provide a safe way to join the dinner table. It is used for table feeding which keeps your child parked and secured during every meal. In this article, we have listed some best toddler booster seat for eating. Summer Infant Comfort folding booster is a 2-in-1 infant feeding seat. This booster seat is a comfortable and convenient solution of eating on-the-go or at home. It is designed to offer additional support and comfort for the little one. 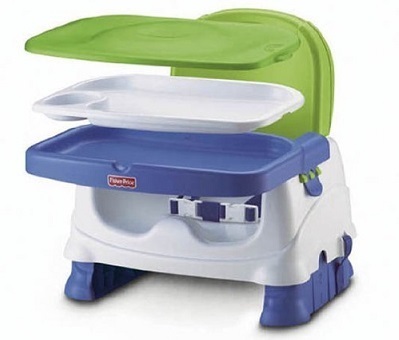 It is 2-in-1 toddler feeding seat which comes along with a dishwasher-safe tray. This becomes a toddler booster seat at the table. It comes with 2-level height adjustment for your child. This folding comfort booster offers a 3-point restraint system along with chair straps to secure it to the chair. It offers 3 positions for the child. It is an ultra-compact folding booster seat, designed for easy portability and storage and removable machine washable seat pad. The best thing about this toddler booster seat is that it allows 2-levels height adjustment which is best for your growing little one. Meals are a fundamental part of family time where the whole family enjoys more conversation and laughter along with the baby talk. 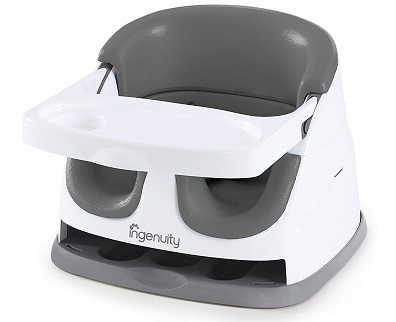 This ingenuity baby base booster seat will provide your little one with a seat at the table. This baby dining booster seat is a 2-in-1 booster seat that easily attaches to the dining chairs. 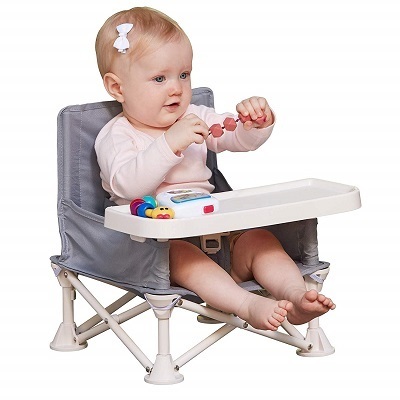 It offers safe and secure dining booster seat that allows the baby to sit up higher. 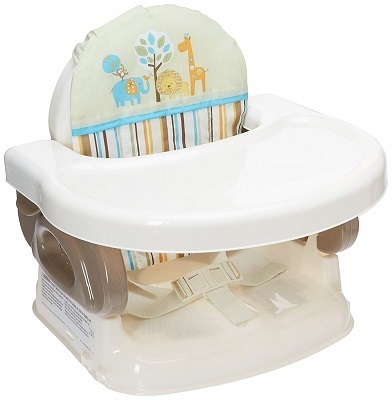 This booster chair comes along with a washable tray and wipeable feeding seat. It converts into a toddler seat from the baby booster. The removable tray can be stored neatly underneath the booster seat itself. This eating booster seat will let you, your family member and your child enjoy good family time during family meals. The Hiccapop Omniboost portable booster seat is thoughtfully engineered and designed to provide a safe, convenient and comfortable space for the babies to play, sit and eat. This chair securely and quickly gets attached to any adult chair for family meals and provides a safe seat during play time and outdoor events. It is a lightweight frustration free foldable booster chair where the folding frame gets compactly folded and opens up during traveling. It offers a rear pocket for spoons and bibs along with a shoulder carry bag for sanitary storage. It offers a gentle restraint system which is ergonomically designed to keep the toddler in place. This booster chair gets wiped off easily, and the fabric cover on the frames are machine-washable. The omniboost foldable booster seat comes along with a removable, tip-over prevention duck feet which increase the stability on uneven surfaces. It is an important milestone to take a seat at the dining table in baby’s transition to toddler. The healthy care deluxe booster seat has everything a parent could want in a travel-friendly feeding solution for their little one. This deluxe booster seat comes along with a feeding tray that you can sanitize in the dishwasher. It comes with 3-height adjustments that allow a custom fit for any table. It is portable and gets folded compactly. This booster seat has a snap-on feeding tray and built-in cup holder. The front and rear strap get adjusted to almost all the chairs. This product is considered as the best booster chairs for toddlers at the table because you can remove the back seat and the tray for easy conversion of it into a portable toddler booster seat. A booster seat is one of the safest ways for the babies to join the dinner table. Taking a seat at the table is an achievement when a baby grows up and becomes a toddler. By getting one such baby booster seat for your toddler, you will provide them with an opportunity to observe and build manners, social skills, communication skills, and listening as they will join you in the conversation and action. Get your little one, one of the best booster seats for eating and let them enjoy more conversation and laughter with the entire family.